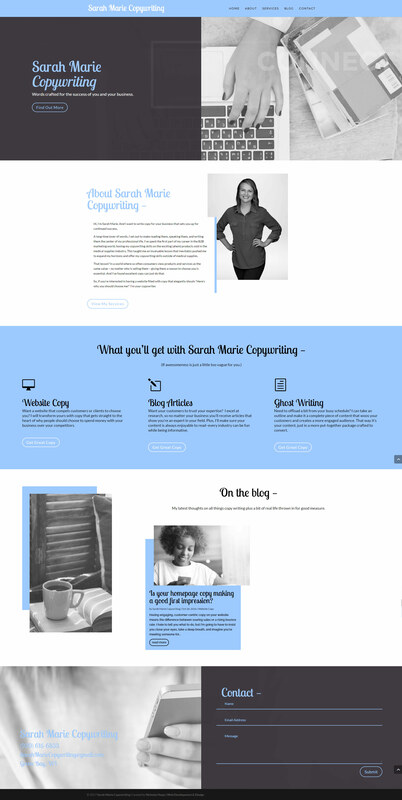 Sarah Marie Copywriting is known for writing copy for businesses that sets them up for continued success. She has spent the first part of her career in the B2B marketing world, honing my copywriting skills on the exciting (ahem) products sold in the medical supplies industry. This has taught her an invaluable lesson that inevitably pushed her to expand her horizons and offer her copywriting skills outside of medical supplies. That lesson? In a world where so often consumers view products and services as the same value – no matter who is selling them – giving them a reason to choose you is essential. And she’s found excellent copy can just do that.